[PDF] Encyclopedia of Educational Psychology (2 Volume Set) | Free eBooks Download - EBOOKEE! Description: The field of educational psychology draws from a variety of diverse disciplines including human development across the life span, measurement and statistics, learning and motivation, and teaching. And within these different disciplines, many other fields are featured including psychology, anthropology, education, sociology, public health, school psychology, counseling, history, and philosophy. In fact, when taught at the college or university level, educational psychology is an ambitious course that undertakes the presentation of many different topics all tied together by the theme of how the individual can best function in an "educational" setting, loosely defined as anything from pre-school through adult education. Educational psychology can be defined as the application of what we know about learning and motivation, development, and measurement and statistics to educational settings (both school- and community-based). 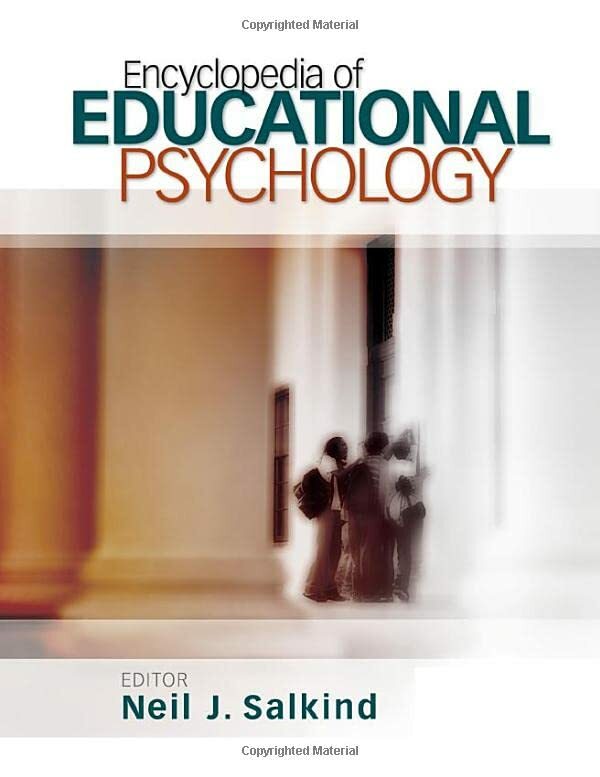 No comments for "[PDF] Encyclopedia of Educational Psychology (2 Volume Set)".